Min. Gilad Erdan notes rise in number of visitors – including Jews – to the Temple Mount. 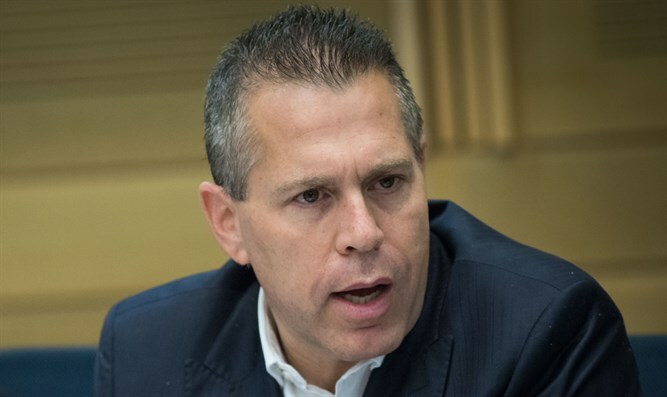 In an interview with Besheva magazine, Internal Security Minister Gilad Erdan noted the rise in number of visitors –including Jews – to the Temple Mount, since he took office..
About 14,000 Jews ascended to the Mount in 2017, and another 350,000 tourists made the trip. In 2018, the number of Jewish visitors has already reached 16,000 and the number of tourists is past 370,000 – and it isn't even July. Erdan explained that "the place that has the most influence on the security of Jerusalem, in particular, and in the entire state of Israel, is the Temple Mount. That is why I resolved to change the security situation on the Temple Mount and the discrimination that was in place against the Jewish visitors…"
He emphasized that "there has been a meaningful change in the police's attitude toward Jews who implement their right to visit the Mount". The Muslim Waqf's attempts to expand its authority have ended, he said, as has the feeling of a lack of sovereignty that existed on the Mount a few years ago. The minister said that e, too, is angered when he sees photos of Hamas flags waving on the Temple Mount. However, "everyone understands that storming into the Mount when there are thousands of worshipers there –ten of whom are carrying the Hamas flag – will lead to large scale bloodshed on both sides. So we wait until the prayer ends, videotape them meanwhile, and then arrest them at the entrance to the Mount and prosecute them criminally."